The girls are a bit busy around here this weekend. The Kentucky Derby’s little sister, the Kentucky Oaks is running today and features fillies and lilies and lots of things women love. At the heart of the Oaks is support for charities and the life-long commitment many women have made to raise money and awareness for causes that are important to them and their families. In 2009, Churchill Downs initiated a new Oaks tradition by partnering with two charities that work tirelessly to prevent breast cancer in women and men. When Churchill Downs selected an official charity partner for the Kentucky Oaks event, it made perfect sense to work with Susan G.Komen for the Cure, given its focus and the tremendous support it already enjoys from women around the world. Founded in 1982 and now the world’s largest nonprofit organization dedicated to raising funds for fighting breast cancer, Susan G. Komen for the Cure has played an essential role in giving hope, promoting early detection, and supporting research to those diagnosed with breast cancer. Horses and Hope works to increase breast cancer awareness among racing fans and stable area workers at Kentucky racetracks, while providing breast cancer screenings at racing venues through on-site mammograms. So get ready for a fun-filled weekend and I'll see you at the finish! Even if you can't make it out to the Oaks, I encourage you to learn more about these important organizations. Help make a difference! Come to Oaks 136 on April 30 and join the fight against breast cancer! Batterie de cuisine. English translation, pots & pans. I have plenty from my years with Williams-Sonoma however, my favorite is my French copper. While many American chefs have copper, it's often used for display rather than for cooking. I try to use mine as much as possible and in more ways than one. My fish poacher comes in very handy for corralling oils & spices. My training at Williams-Sonoma taught me a valuable lesson about this cookware’s unique attributes beyond its elegance and durability. Quick, uniform heat diffusion across the bottom and sides of a copper pot guarantees a heavenly sauce! Often handed down from generation to generation. Some prefer the patina of a much-loved piece. Every once in a while, though, it may be in need of a good cleaning. I have a method that is simple and green…...lemon and coarse grain salt. All it just takes a little elbow grease and a nice day! This method takes much less time and I think works better than commercial copper preparations but it's messy so I choose to do it outdoors. A quick rinse and dry and you are finished. French copper is traditionally the highest in quality and remains the standard by which other copper is measured. Chuck Williams introduced Mauviel copper cookware to American home cooks in 1962. 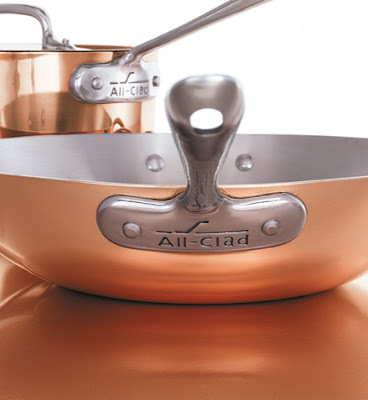 Today Williams-Sonoma carries two of the finest brands of copper cookware in the world. 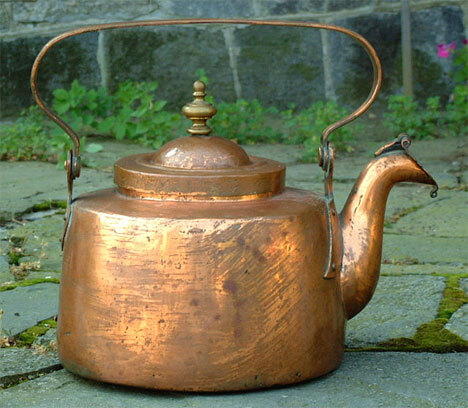 A French original, since 1830 Mauviel copper cookware is my favorite and has stood the test of time. For more than 175 years, it has been the choice of the world's leading kitchens, from hotels and restaurants to the cooking schools of Paris. When I'm antiquing I often see nice pieces like this beautiful 19th-century French copper cooking pot! They wouldn't budge from $800 ~ Like I said, I love my old copper! We had an amazingly beautiful weekend here in the Kentucky Bluegrass. It's days like this that remind me of why we choose to make this our home. We could not have picked a more perfect day for a visit with the gracious proprietress Lucille Carloftis and her incredible family. 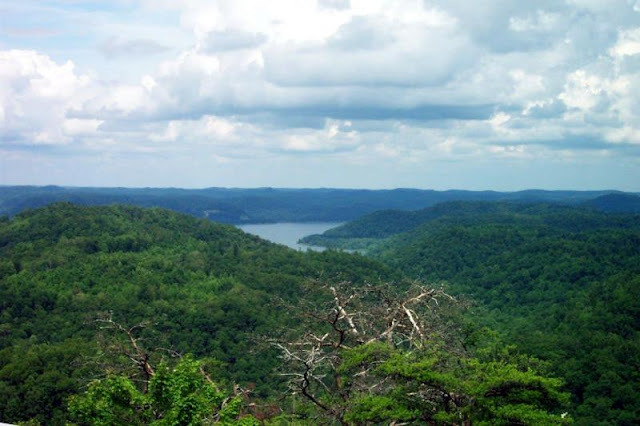 Rockcastle River Trading Company is the center of the Carloftis family homestead and a charming place where Lucille and other members of her fine family welcome visitors along US 25 to explore their well-edited selection of gift items, home & garden decor. 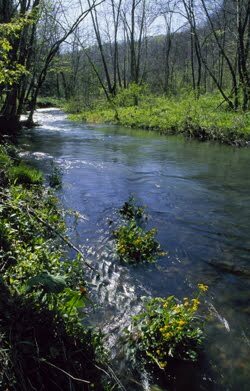 The beautiful setting encourages you to wander, relax and stay for a while. When we arrived, we were greeted on the patio by Lucille's son, garden designer, Jon Carloftis, and by her darling granddaughter, Carly. Paula, who is also a dear friend of the Carloftis family, and I stayed long into the afternoon enjoying pimento sandwiches, homemade cookies, walks throughout the homestead and wonderful family stories with good people who are the epitome of southern hospitality. Lucille's gorgeous cherry tree was in full bloom and served as a lace canopy over the walk from the residence back to the store. Lucille will be the first to tell you that she is not a gardener, however, her son Jon Carloftis is an honest-to-goodness gardening celebrity. To quote from her book, A Beautiful Journey, "Momma," he said, "these ladies here in Lexington are real gardeners. Please don't call everything 'bushes.'" Most days, he is outside like any gardener, getting his hands dirty, whether it's on his own property or on a client’s New York rooftop. While Carloftis splits his time between Livingston and his home in Bucks County, Pennsylvania, he admits he’s made a name for himself designing gardens for “some of the wealthiest people in New York,” but he doesn’t consider that the hallmark of his career. 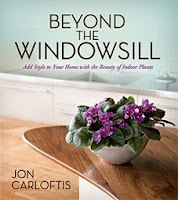 Jon Carloftis is every bit the down-to-earth Kentucky boy he attests to being. He is amazingly humble and told me that he would love to come by and see my garden and stonework next time he is in Lexington! Despite his hectic schedule, he makes time to speak regularly at Kentucky garden club events, and he has also donated his talents to gardens at the University of Kentucky Arboretum and to Ashland, the Henry Clay Estate. Giving back to Kentucky is a way to pay tribute to his family and the source of his lifelong love of nature. For someone to be so committed to giving back to his home state is really inspiring. He has also devoted his many talents towards three incredible books. 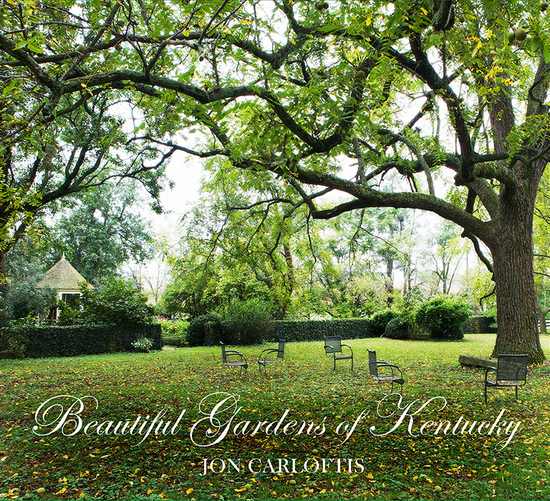 Jon's latest book, Beautiful Gardens of Kentucky, which I purchased while there, is one I look forward sharing with you all. Paula and I had a delightful afternoon with the Carloftis family. It was such a pleasure to spend time with each and every one of them. 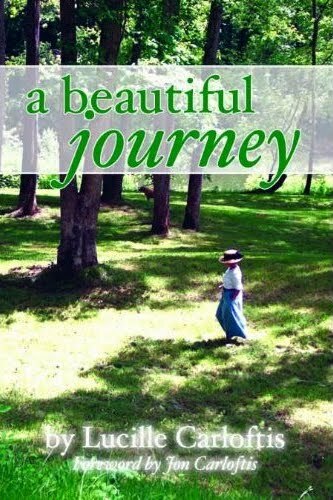 Before we said goodbye, Lucille read to me an excerpt from her book, A Beautiful Journey. As I listened, I was reminded of the power of storytelling and that this incredibly gracious woman has a deeply moving story to tell. I look forward to reading and traveling along. Thank you Lucille and your kind family for a beautiful afternoon and A Beautiful Journey.